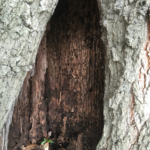 Wood Acres Tree Specialists is proud to be a division of Bartlett Tree Experts, and our staff now has the backing of an international tree-care company and tree research laboratory to help continue providing excellent tree service and shrub care in the Washington D.C. area. View a complete list of professional tree services offered by Bartlett. 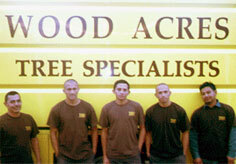 Our tree crews are highly skilled and have years of experience in the tree care industry. Our field crews attend safety programs and review safety guidelines as provided by the Tree Care Industry Association. Fungi on trees come in many shapes and sizes. 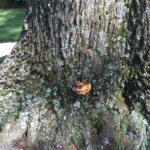 These fruiting bodies indicate that there is some type of fungus living in/within the tree. 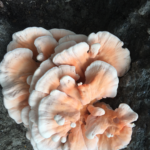 Some fungi are meaningless, some can be wood destroying organisms. 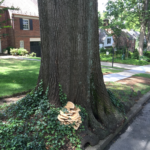 If you see a mushroom growing on your tree, contact?Wood Acres Tree Specialists?and have us?take a look to make sure the tree is?okay. 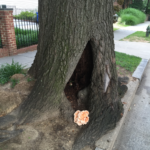 This entry was posted in Diseases, Insects, Tree Removal, Trees & Shrubs and tagged fungi, fungus, tree fungi. Bookmark the permalink.